I would much rather play sports than watch them. That said, I enjoy a good excuse to eat, drink and be merry—all of which sporting events offer in droves—and, for that reason alone, I enjoy watching sporting events. As the motherload of American sporting events, the SuperBowl already takes the phrase "eat, drink, and be merry" to the next level. (I mean, when else is it acceptable to take 15 beers, 20 pigs in a blanket, a family size bag of potato chips and a bucket full of chicken wings to the face?) But leave it to South Beach locals to break all kinds of sporting event glass ceilings with our bougie and completely over-the-top SuperBowl fêtes. I'm talking from experience. 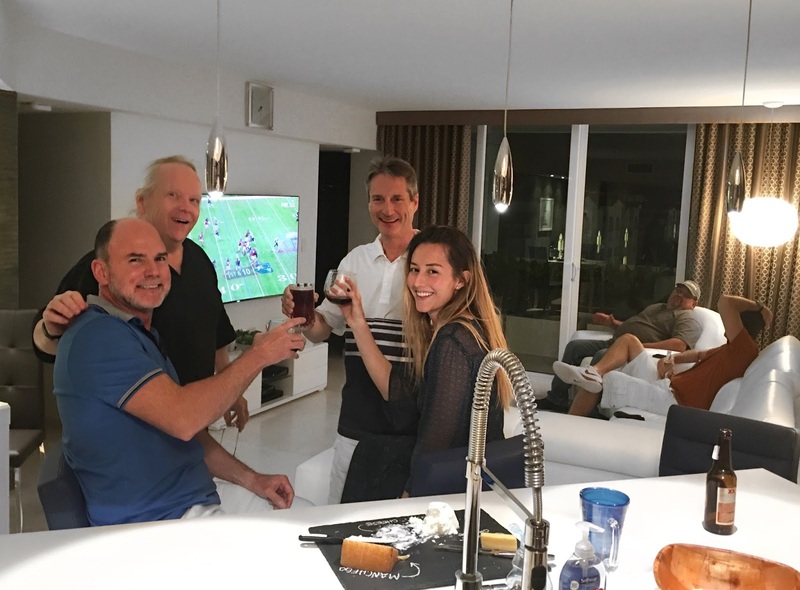 I spent Sunday evening with friends in a beautiful apartment that overlooks Biscayne Bay, yelling at a TV that is so hi-def we could see every bead of sweat on that guy in the nosebleeds. Instead of nachos, our appetizers consisted of a slate of goat, manchego and farm-fresh yogurt cheeses. Instead of the blue cooler full of beer, I was greeted by an elegant display of limited production Cabernet Sauvignon and chilled Pinot Grigio. And, because a South Beach girl is not one to be outshone, I showed up perfectly overdressed in the Jolene dress from Tularosa's new collection, a gorgeous floor length gown that serendipitously caught my eye at Frankie earlier that morning.